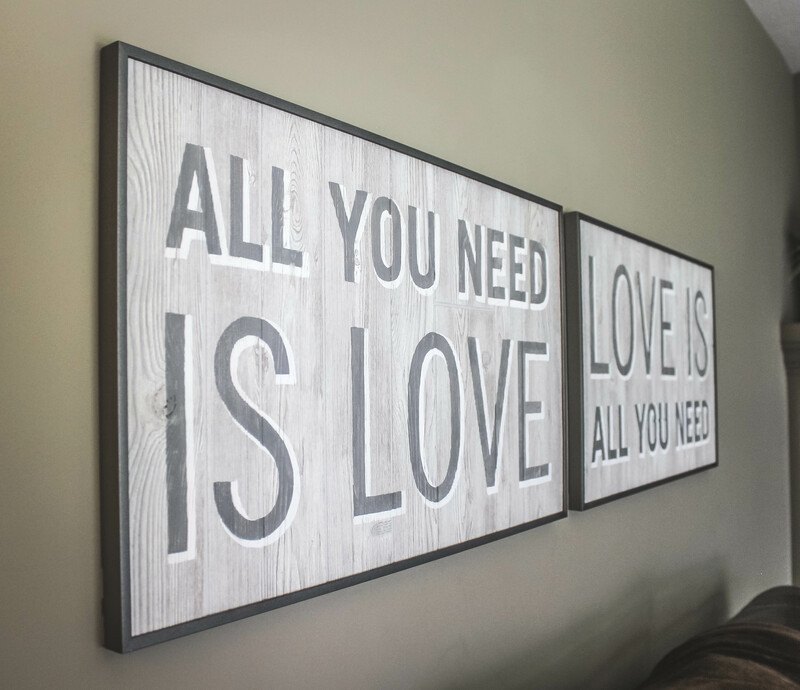 The Beatles song “All You Need Is Love” is the song that played during the recessional of my wedding ceremony so it holds an extra special place in my heart. 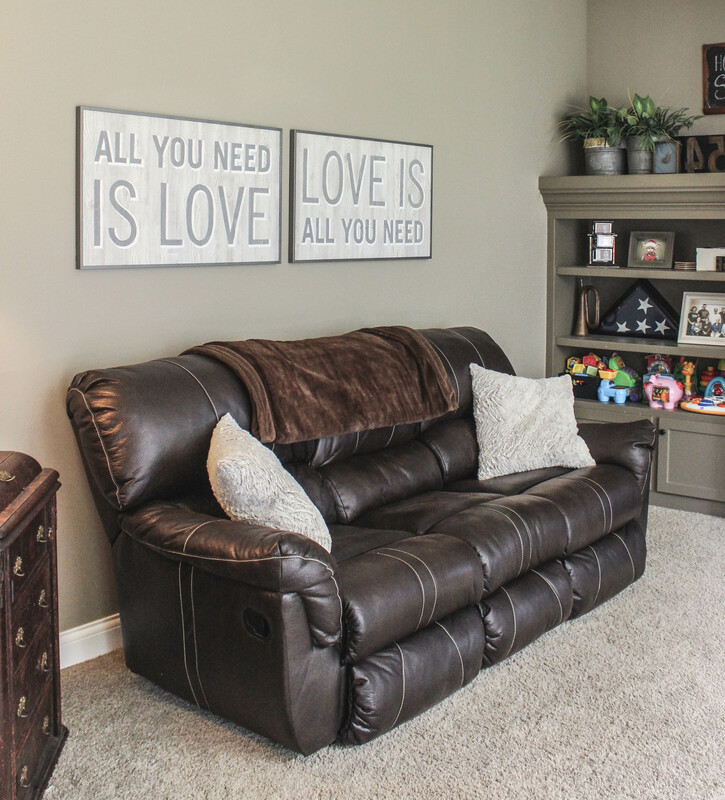 I knew I wanted to create a wall art typography piece in my living room with the song quote. I was walking through Menards just browsing, and found these 4′ x 8′ Aspen White wall panels with a beautiful faux white washed woodgrain. They were so cheap too, just $25.00 per panel! I cut the panel down into two pieces with a circular saw to the size I wanted. I designed the typography in Illustrator, printed it out full size by tiling on 8-1/2″ x 11″ paper, and taped the pieces of paper together. I used graphic transfer paper and traced the words onto the wood. Then I carefully painted. You can buy these metal frame kits in tons of size options for cheap, they look great, and are easy to put together!